Today we join with other Americans celebrating our country’s independence and thank the current military members and veterans who have served our country. Sadly, many veterans don’t receive any dental benefits and have limited funds to pay for dental treatment they need. Dental Lifeline Network and Donated Dental Services (DDS) is honored to bridge the gap and help veterans with disabilities, who are elderly or medically fragile obtain necessary dental care. Harold, age 71, is a U.S. Navy veteran who worked as a machine shop operator until his retirement and now lives in a seniors home. He suffered a stroke and relies on a walker and wheelchair to get around. Harold’s veteran disability benefits cover medical treatment but does not include any dental treatment beyond extractions. A person with diabetes, Harold had no teeth since 1995 and struggled to chew and maintain a healthy diet. 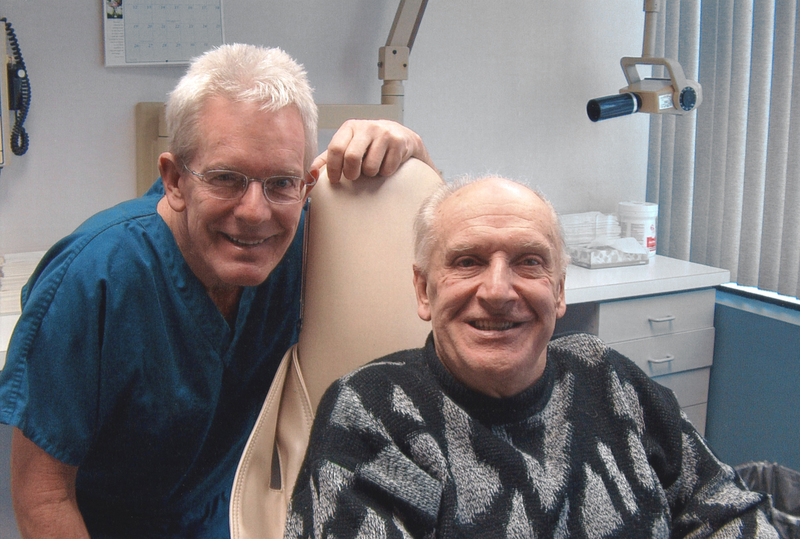 DDS volunteer Dr. Richard Stec provided the full upper and lower dentures that Harold desperately needed, replacing the worn-out appliance he had used for 50 years. 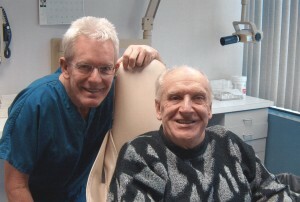 In a message to Dr. Stec after his treatment was completed, Harold wrote that he felt like a spring flower with his new teeth. To learn how you can help people like Harold please visit our website and sign up to become a DDS volunteer.